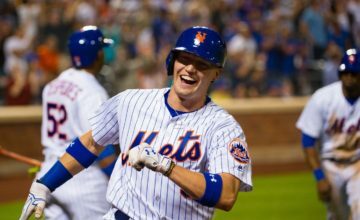 Last week, in honor of Daniel Murphy’s return to Flushing, I gave you my list of the most defensively challenged players in Mets history on a position-by-position basis. Since the Mets are in DC about to start a 3 game series against Murphy and the Nationals, I decided on the flip side of that list to bring you my list of the best defensive players in our team history with the same format. Interestingly enough, in our 54 seasons of baseball, we have only had 10 players win a Gold Glove, with 4 of them winning it for more than one season. Equally surprising is the fact that no Met has ever won a Gold Glove for catching or playing left or right field (Yoenis Cespedes won a Gold Glove last year in the AL for the Tigers). However, this can be chalked up to the voting for such awards. Many consider former original Met Richie Ashburn among the best defensive centerfielders to ever play the sport, yet he never won a Gold Glove since some guy named Willie Mays kept winning them instead. Jerry Grote: Catcher. How Grote never won a Gold Glove is a truly a mystery. Stolen from Houston after the 1965 season for pitcher Tom Parsons (who never threw an inning for the Astros or for any other MLB team after the trade), Grote became the man who helped shape the young Mets pitching staff into winners. Always a tough guy, Grote was notorious for throwing the ball back to the pitcher really hard if he wasn’t happy with the prior pitch. But Grote was overshadowed by a young player named Johnny Bench over in Cincinnati who took home most of the Gold Glove hardware during Grote’s career. But no less an authority than Bench once remarked that if Grote were a Red, Bench would have gone into the Hall of Fame as a third baseman. That is very high praise. I would give runner up in this category to the Kid Gary Carter, who had some great defensive seasons in his career, but most of them were in Montreal, where he won three consecutive Gold Gloves. Honorable mention goes to John Stearns, Todd Hundley and even Mike Piazza who were good defensive catchers for the Mets (I give Piazza high marks for his pitch calling, plate blocking and handling pitches in the dirt, even if he wasn’t good at throwing out runners). Interestingly, Sandy Alomar Jr., who played briefly for the Mets, won a Gold Glove in Cleveland. Keith Hernandez: First Base. Arguably the greatest defensive first baseman in the history of baseball, Keith played the position like a short stop. Diving for balls in the hole. Charging bunts. Making the best throw to second on double plays. Digging bad throws and bad hops out of the dirt. He was just dynamic out there, and as a result, he was the Gold Glove winner at the position from 1983 through 1988, his prime years for the Mets. His plays are still the stuff of highlight reels. The runner up here is John Olerud. While he never won a Gold Glove for the Mets, Olerud was still an excellent defensive first basemen. If not for Keith’s excellence at the position, Olerud would rank first here. Honorable mention goes to Doug Mientkiewicz, Ike Davis, Mike Jorgensen (who won a Gold Glove for the Expos in 1973) and Willie Montanez. All played really well, and ultimate Hot Dog Montanez was always fun to watch with his snap catches and flamboyant style around the bag. Original Met Gil Hodges won 3 Gold Gloves for the Dodgers in the 50’s, but by the time he came to the Mets, his best days were long behind him. Doug Flynn: Second Base. The only Met to ever win a Gold Glove as a second baseman, Flynn was a great defensive player. Unfortunately, his offensive shortcomings plagued his career as a Met. He won the Gold Glove in 1980, which was also probably his best year in Flushing, when he hit .255 with a .600 OPS. Like I said, he was not much with the bat. But he was great on the pivot, had sure hands and great range. It was really something to win a Gold Glove during that time period which was also the reign of Hall of Fame second baseman Joe Morgan. Runner up goes to Edgardo Alfonzo who by all rights should have won a Gold Glove in either 1999 or 2000. However each of those seasons the voters saw fit to give it to Pokey Reese. Honorable mention goes to Felix Millan who played a great second base after coming over from Atlanta before the 1973 season. Millan made an excellent double play partner with Bud Harrelson through the 1977 season, giving the Mets strong defense up-the-middle. Millan had actually won the Gold Glove in 1969 and 1972, but voters went for Morgan during each of Millan’s seasons with the Mets. Surprisingly, Hall of Famer Roberto Alomar, arguably the greatest second baseman of all time, did not play very good defense for the Mets. The owner of 10 Gold Gloves, Roberto played in two seasons and was a big disappointment on both sides of the ball. Robin Ventura: Third Base. This was one of the three toughest decisions for me. I chose Ventura, the 1999 Gold Glove winner, over runner up David Wright (who won the Gold Glove in 2007 and 2008) for the simple reason that Ventura seemed to make fewer errors and had a little more range. I’d give Wright the edge on bunt plays, charging in to field and throw in one motion. 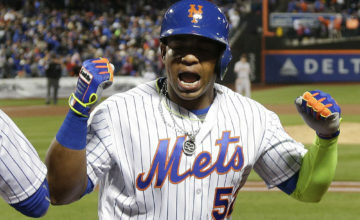 But Ventura was like a cat at third base during his three seasons in Flushing. Teamed with fellow Gold Glover Rey Ordonez, Ventura gave the Mets the best left side of their infield in team history. Third base had always been a bit of black hole for the Mets since Don Zimmer started there in 1962. And while they had a former Gold Glover in Ken Boyer (5 Gold Gloves for the Cardinals), he was a shell of his former self when the team got him before the 1966 season and he was traded to the White Sox before the Summer of Love was over in 1967. Rey Ordonez: Short Stop. Another multiple Gold Glover for the Mets, Rey was the winner from 1997 through 1999, and only a season ending injury kept him from winning Gold in 2000 (one can also argue that his injury kept the Mets from winning Gold that season as his replacement, Mike Bordick, was pretty awful offensively and defensively, possibly costing the Mets in their World Series loss that October). The Cuban refugee was just dynamic at short, making the tough plays in the hole look routine. During his time at Shea, Rey made the left side of the Mets infield the place where potential groundball singles went to die. I’d argue that he was the equal of Hall of Famers Ozzie Smith and Luis Aparicio on defense, and only missed out on all time status because of his lack of offensive contribution. Rey couldn’t hit and he couldn’t run. I’d give the runner up here to the only other Met to win a Gold Glove at shortstop, Bud Harrelson. Bud was a team leader, an excellent double play maker and had a great range, especially chasing down pop ups into the outfield. His defensive prowess was a key to the 1969 World Champions and the 1973 Pennant Winners. Honorable mention goes to Roy McMillan, who mentored Bud after coming over late in his career from the Braves, Jose Reyes, who had some great seasons for us, and Asdrubal Cabrera, who so far in 2016, has been making some great plays for our vaunted pitching staff. McMillan was a three time Gold Glove winner for the Reds. Yoenis Cespedes: Leftfield. La Potencia is another defensive magician, just like his fellow Cuban Rey Ordonez. Whether making great catches or gunning down foolish base runners who dare to challenge, Cespy has been a delight to watch since coming over in last year’s trade deadline move. He is the quintessential five-tool player with his defensive play only being overshadowed with exceptional power hitting. Cespedes won the Gold Glove last year for the Tigers, but I had no idea how great he was on defense or how strong and accurate he was throwing the ball until I saw him in person. While he has played most of his games in center since coming over, I make an exception for him since he often moves to left for late inning defense or against a lefty starting pitcher. The runner up here is Kevin McReynolds, who would have finished first if I were making this list last year at this time. McReynolds missed out on winning the Gold Glove in 1987 and 1988, the latter year despite leading all leftfielders in assists. He was the Padres starting centerfielder before joining the Mets in the controversial Kevin Mitchell trade, but made a smooth transition in the outfield. Honorable mention goes to Endy Chavez (who made one of the greatest catches in baseball history in game 7 of the 2006 NLCS), Cleon Jones (who caught the last out in the 1969 World Series and made an amazing catch and throw on a ball hit off the fence by Pirate Dave Augustine on September 20, 1973), Eric Young Jr. (who was a runner up for a Gold Glove in 2013) and Michael Conforto (who already has 7 outfield assists in less than a full season). Carlos Beltran: Centerfield. This was another tough one. 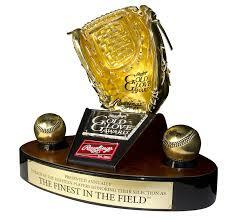 But it is difficult to go against a man who won the Gold Glove each year from 2006 through 2008. A possible future Hall of Famer, Beltran always seemed to make it look easy. He got a great jump on fly balls, positioned himself well and had a strong, accurate arm. Like Cespedes, he is another player whose defense probably gets overshadowed by his excellence on offense. Nevertheless, he is my pick for centerfield. Here is the one time I feel the need to pick two runners up: Tommie Agee and Juan Lagares. Agee won the Gold Glove in 1970 (the first Met to win the award) and is best remembered for those two amazing catches in Game 3 of the 1969 World Series. Just how great were those catches? How many of you remember that Agee also hit a home run that day? As for Lagares, Met pitchers have been dialing 9-Juan-Juan since he came up in 2013. Few players get as good a jump going back on the ball, and if not for Cespedes, Lagares would be considered to have the best arm in the Mets outfield. Honorable mention goes to Lenny Dykstra, Mookie Wilson and Lee Mazzilli, each of whom probably would have rated higher if not for weak throwing arms. An argument could be made that the greatest centerfielder of all time, Willie Mays, played for the Mets, but the winner of 12 Gold Gloves (all for the Giants) was not the same player when the Mets acquired him for reliever Charlie Williams in 1972. Joel Youngblood: Rightfield. Youngblood was a utility player when the Mets acquired him for utility player Mike Philips during the infamous Midnight Massacre of June 15, 1977. It would turn out to be the only good trade the Mets made that night. Youngblood eventually won the rightfield job in 1978 and played great defense with a throwing arm only overshadowed by the Cobra, Dave Parker, of the Pirates. Youngblood also lost out on Gold to future Hall of Famer Dave Winfield. Nevertheless, he was an All Star during the strike shortened 1981 season. Surprisingly, the Mets acquired another rightfielder in 1981, Ellis Valentine, who also played great defense and displaced Youngblood, who was traded to the Expos in 1982 (the day he became the first player to play two games in two different cities for two different teams and hit safely in both). But Valentine never overcame a beaning he’d received during the 1980 season and was gone before the 1983 season began. The runner up goes to Darryl Strawberry. The Straw Man had a great throwing arm and could cover more ground in two loping strides than most other players could running full out. But I give Youngblood the slight edge over Straw because Strawberry had a habit of missing the cutoff man and seemed to play every player in the same spot, which led to a blanched part of the rightfield grass at Shea being dubbed Strawberry Field. Curtis Granderson, who was a runner up for a Gold Glove last year, deserves honorable mention as well. While the Grandyman has a very weak throwing arm, he is accurate, always hits the cutoff man and seems to have the tough angles at Citi Field down to a science. 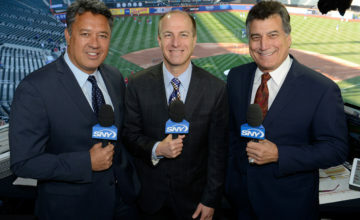 Ron Darling: Pitcher. The only Met pitcher to ever win a Gold Glove (in 1989), Darling always was a great athlete. Possessed of one of the best pickoff moves for a right-handed pitcher, Darling was always at or near the bottom of the league in stolen bases allowed. Also, bunts were never a problem for Ronnie, especially with his current fellow broadcaster Keith Hernandez charging in from first base. But Darling wasn’t the only Met pitcher of the era to field his position well. Reliever Roger McDowell with his ever present bubblegum bubble was diving all over the mound on grounders at or near his position. And another player deserving honorable mention was Rick Aguilera, who was also adept at fielding from the pitching mound. That’s my list; what are your picks? Feel free to let me know where you think I went wrong in the comments. And let’s hope 2016 yields some more Gold for the Mets on defense!